SALEM, Mo. 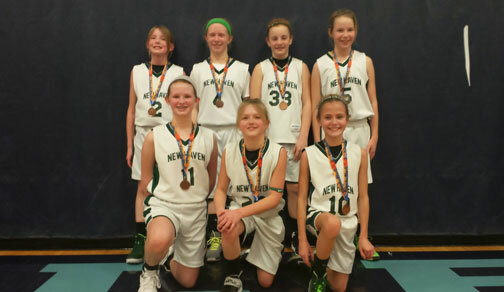 - This past weekend New Haven’s 5th Grade Girls competed in the Salem Basketball Tournament, where they defeated Owensville 39-6 to win third place. New Haven began the weekend suffering a nail bitting loss to the Rolla Bulldogs 11-10. The Lady Rocks would turn around and knock of the Rolla Hotshots in dominating fashion 22-8, advancing them into the third place game where they knocked of Owensville.